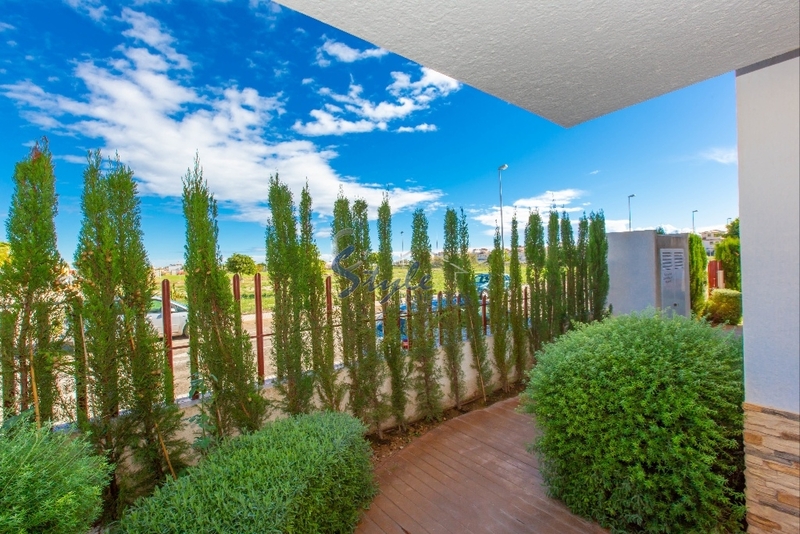 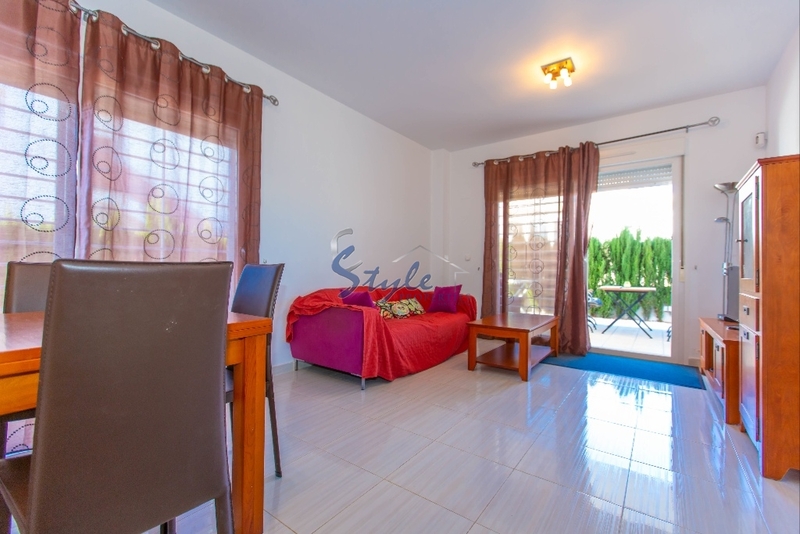 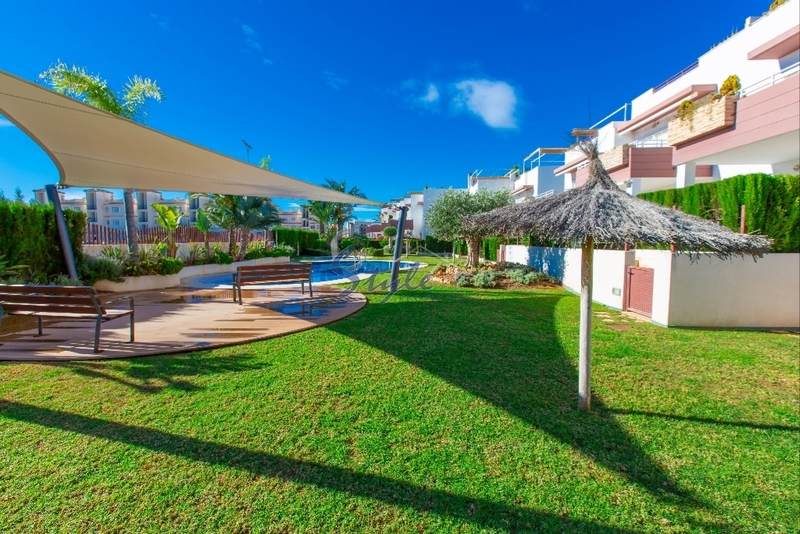 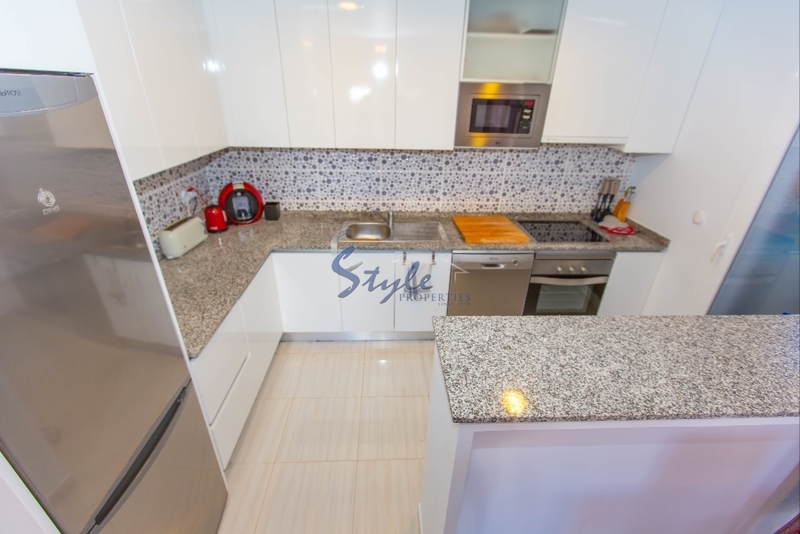 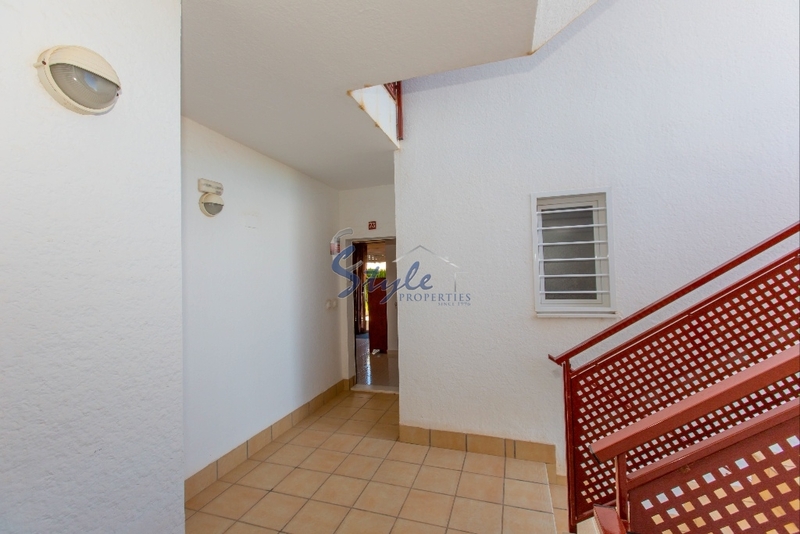 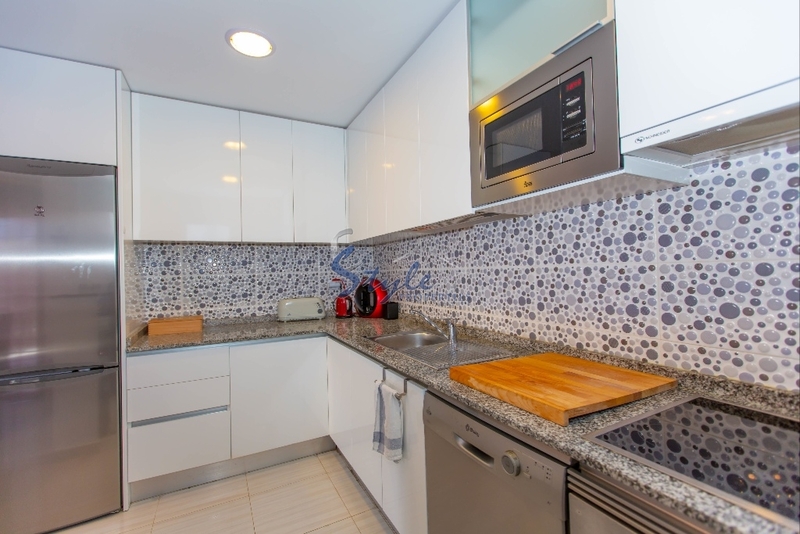 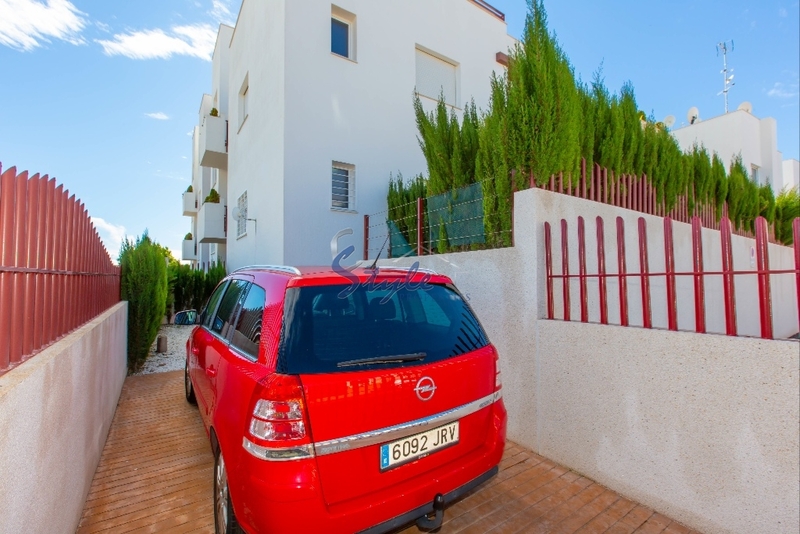 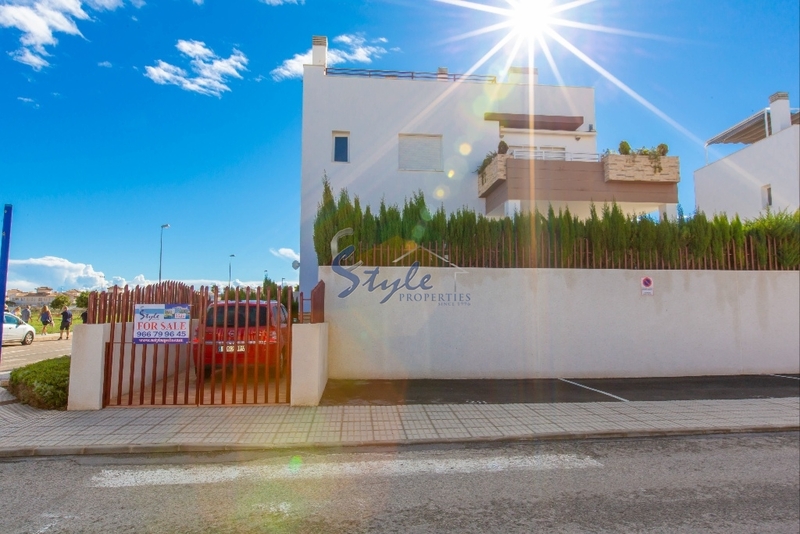 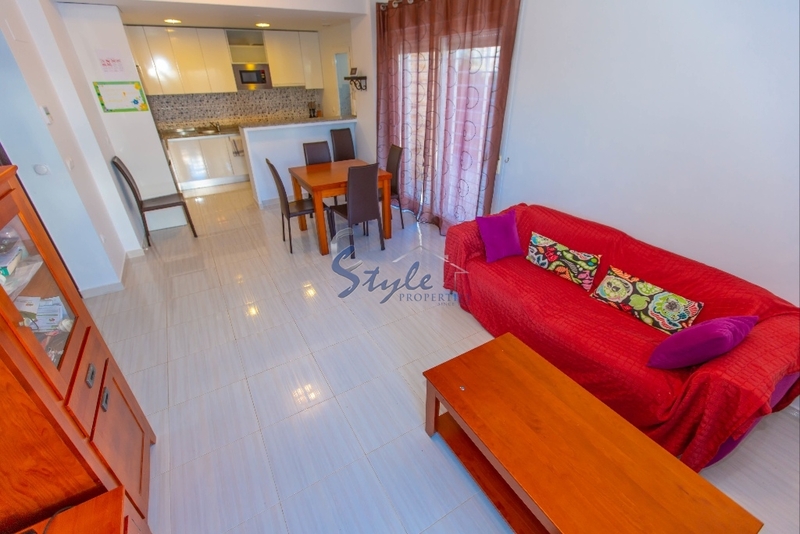 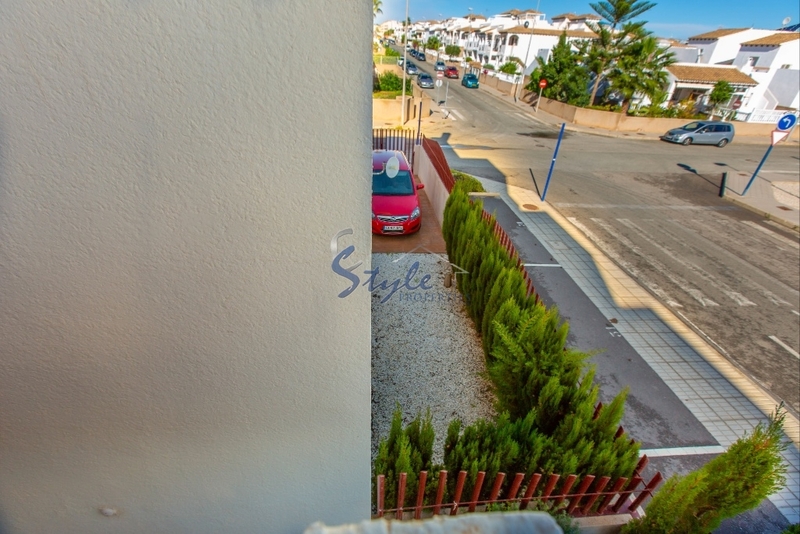 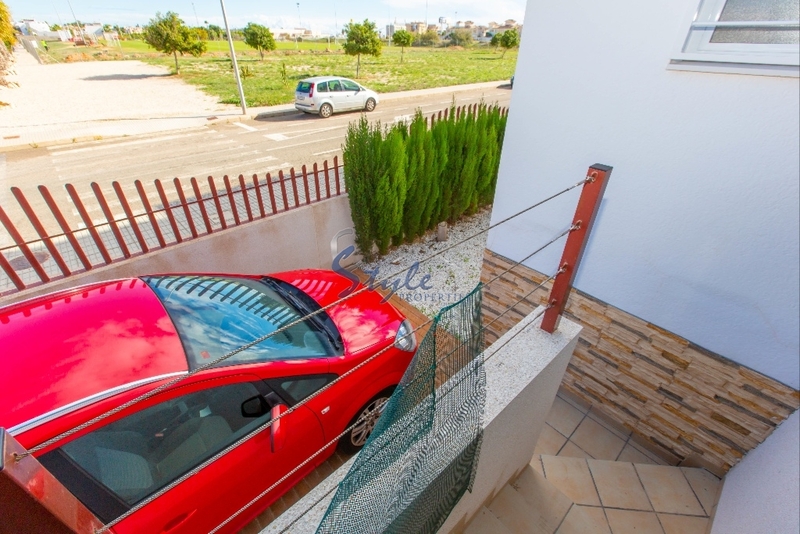 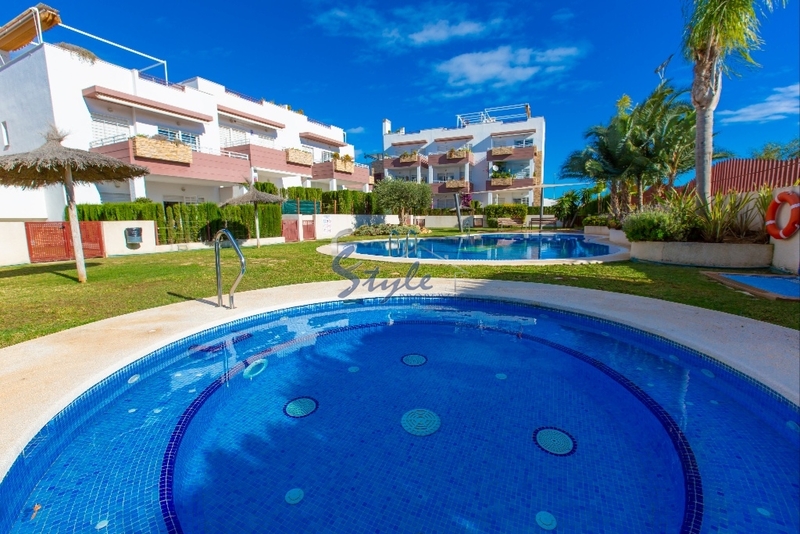 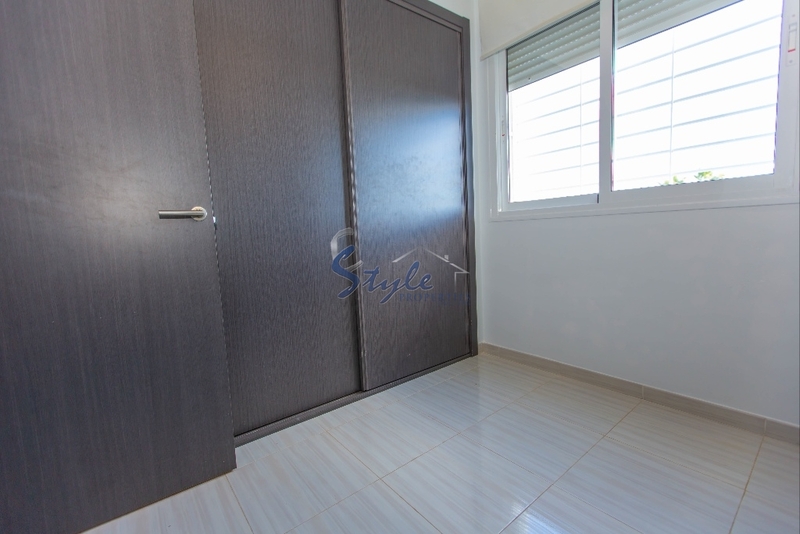 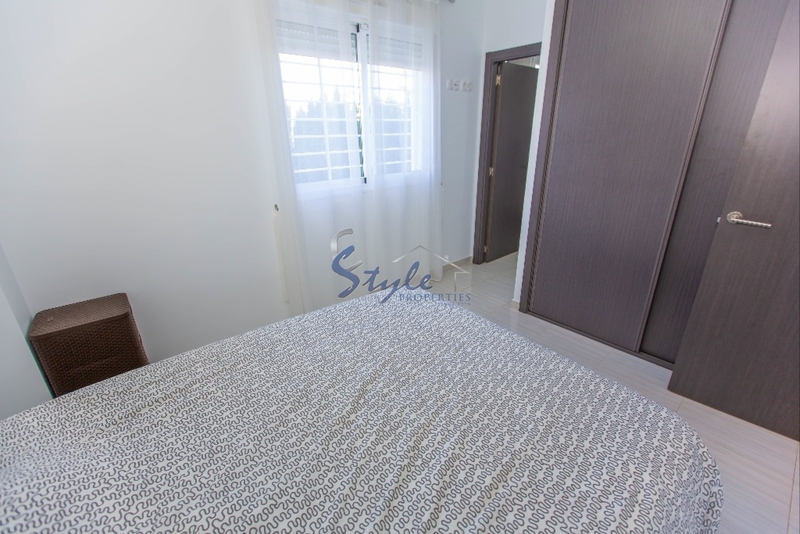 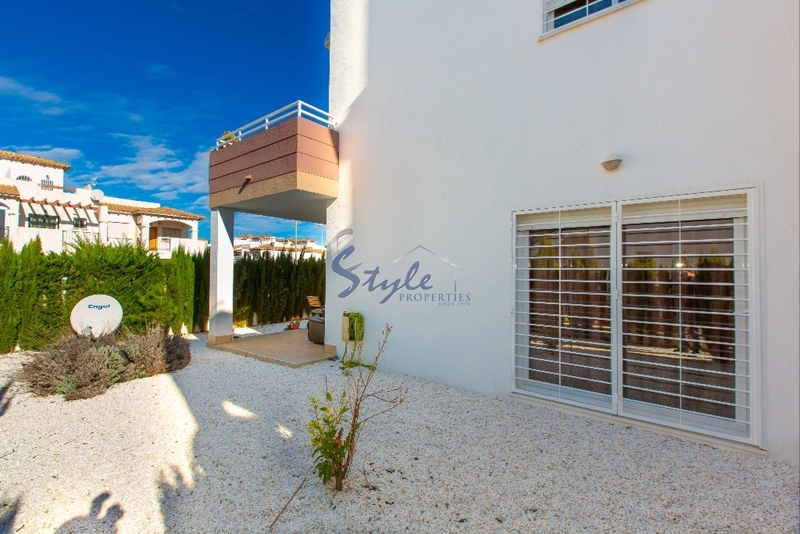 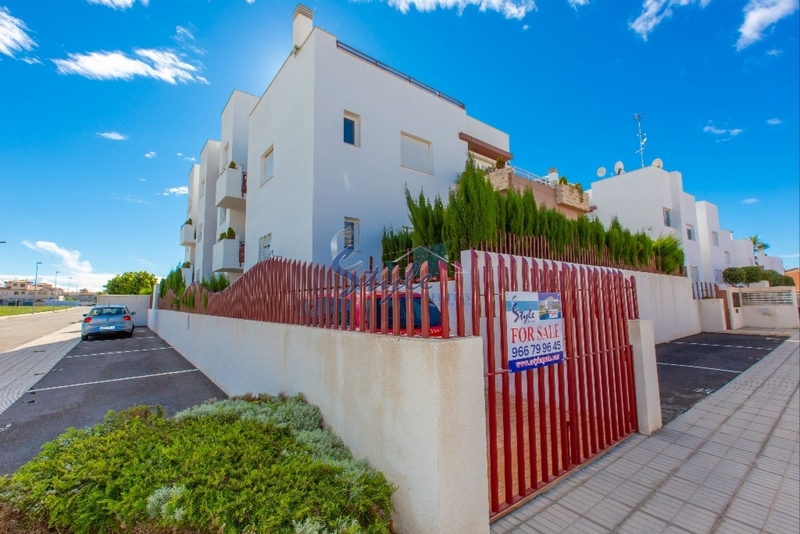 Fantastic ground floor apartment with lovely private garden for sale is located in a gated community "Silene" of La Ciñuelica, within walking distance to the beach and commercial center. 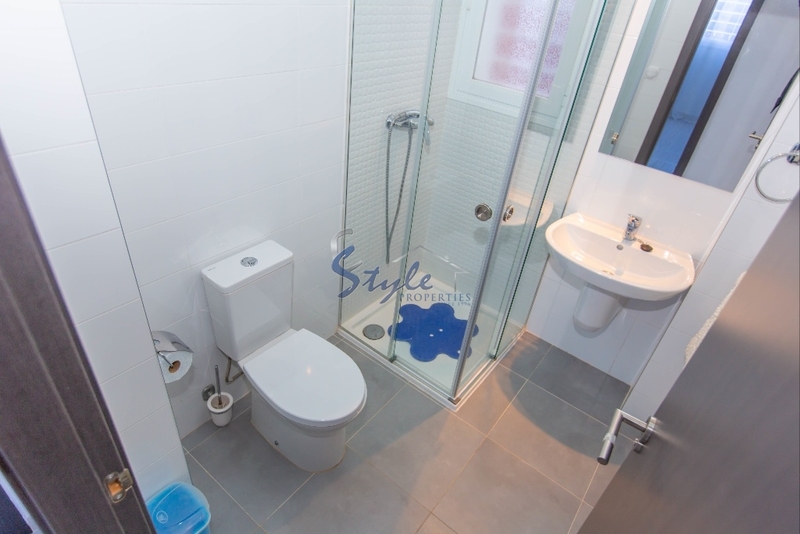 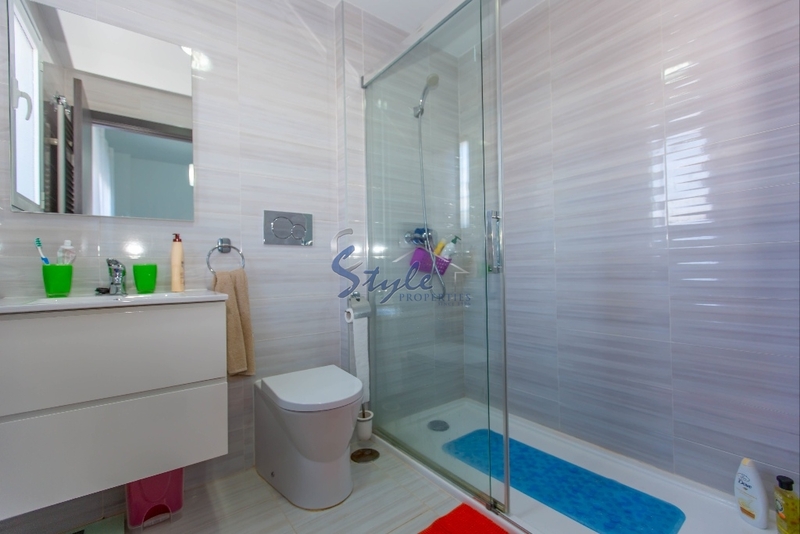 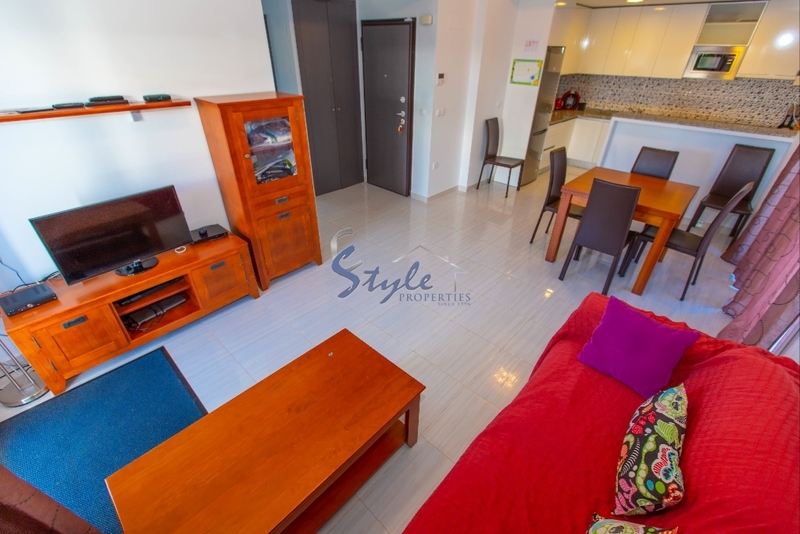 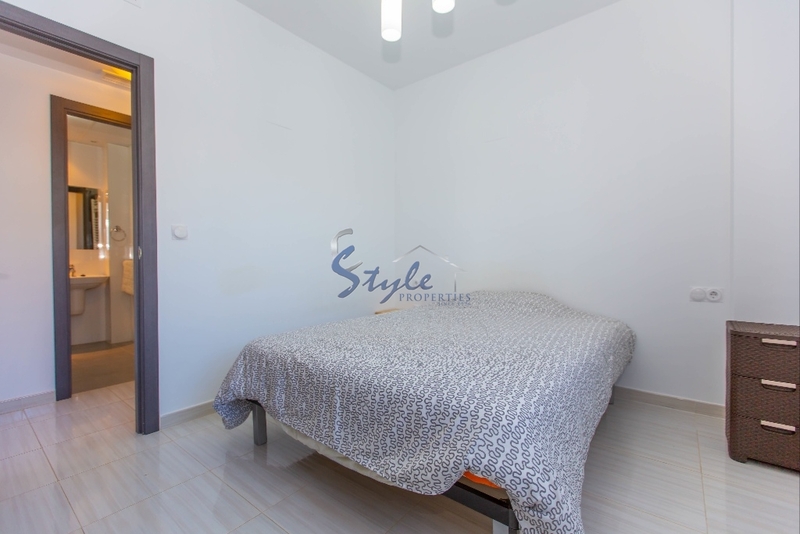 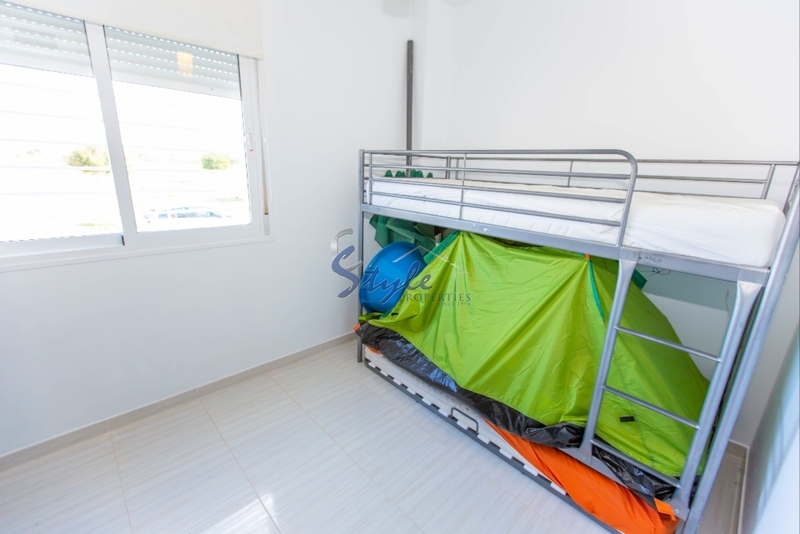 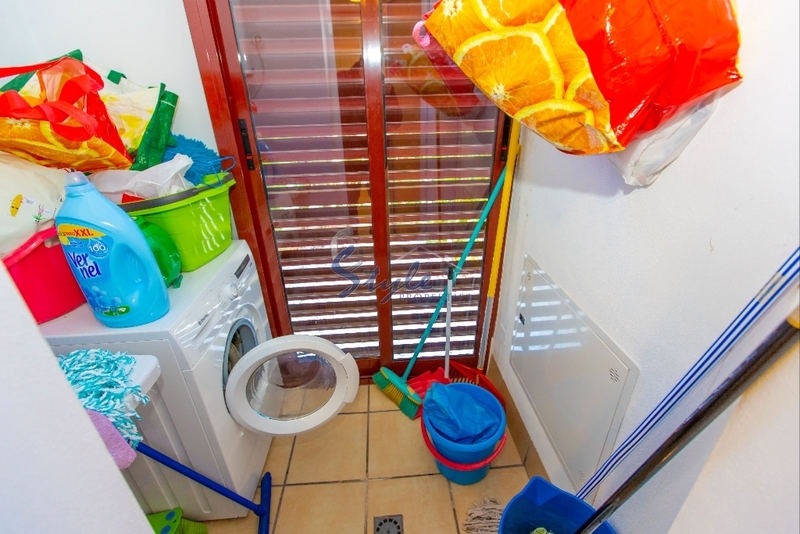 The property has 2 bedrooms (one is en-suite), 2 bathrooms, separate kitchen with utility room, living room with dining area, storage, terrace and spacious garden. 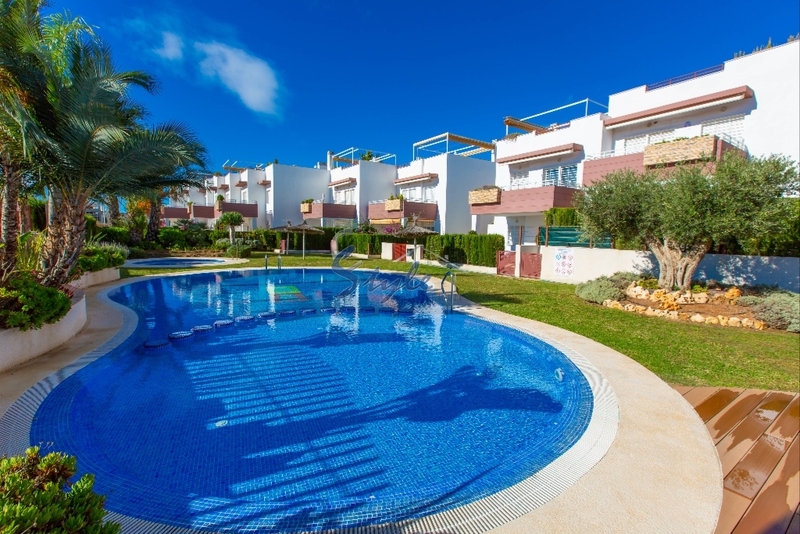 There is a very nice communal pool with jucuzzi and off road parking area.